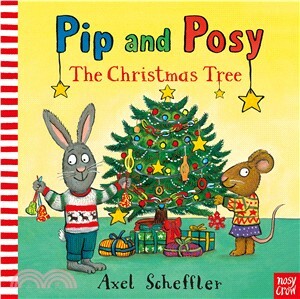 It's Christmas time and Pip and Posy are busy decorating the tree with candy sticks, and biscuits, and a beautiful sugar star. But the strange thing is that, every time Posy goes out of the room, when she returns, there's one less decoration on the tree. Eventually, there are NO decorations left AT ALL . . . oh, dear! All young readers will enjoy the moment when Posy finds Pip lying on the sofa, feeling sick, but will they guess how she decides to tackle Pip? A charming and funny new Pip and Posy story about the problems caused by telling fibs, with gentle lessons about being kind and tooth-brushing!